It’s a digital world we live in, and these days, computers can even take the place of crash-test dummies. That’s by virtue of digital crash testing, in which computer renditions replace intentional glass shattering and fender crumpling. 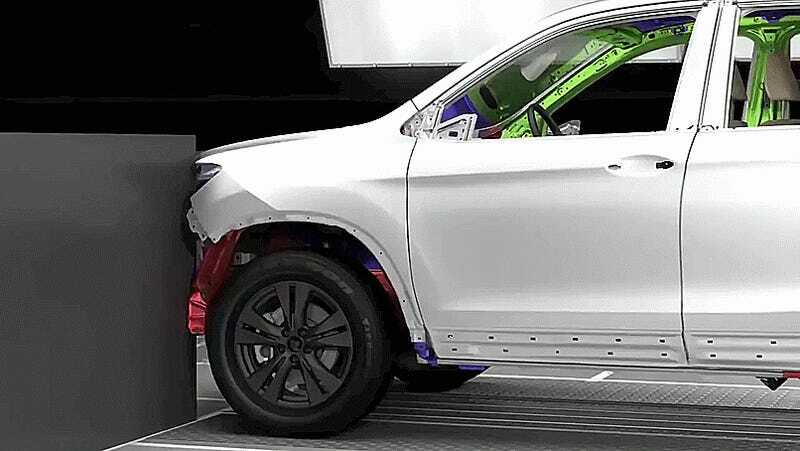 There are plenty of real cars still being smashed for the sake of safety out there, and will be until the concept of digital crash testing is completely developed. Right now, CNET reports the technology efficiency to be right at 90 percent. And while running simulated crashes instead of real ones seems like it would be counterproductive to safety on the real road, it turns out that most crash-test dummies can only document impact data for about 20 points on the body. Computer simulations, on the other hand, can provide medical data on how bones and tissue will respond to aspects of the crash, as well as portray wider ranges of body styles and positions on impact. Rather than crashing just one car in a real situation, the virtual version of crash testing allows for the creation of a computer-aided design of the vehicle—including every piece of the car, and even the amount of gas in its tank—that can be crashed over and over. No cleanup necessary. Those observing the tests can also peel parts of the virtual car away, looking at how well (or not well) each part of the vehicle responds to the crash. If there are weak spots, areas can be redesigned and tests rerun—without a whole new car. Since the technology isn’t complete yet, researchers still use real crashes to compare both outcomes, and therefore, the performance of the computer. The process of creating a computer-aided crash is slow as well—it takes between 10 hours and a day to see crash results each time a simulation is run. So, computers went from opening our eyes to the world of Minesweeper to telling us how we’ll fare in a car crash. Both involve considerable fear and the potential for virtual explosions, but at least we’ll (hopefully) understand how on Earth the latter actually works.